On you marks, get set...party! No matter what the occassion, you'll be in the mood to celebrate once this case of Naked joy lands upon your door step. Look no further for Angel-approved bubbles! 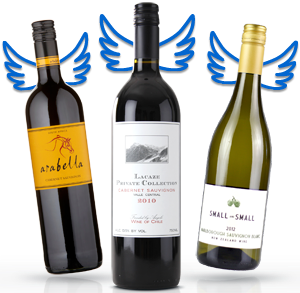 We've selected quality fizz that is crafted by some of our most popular independent winemakers and loved by thousands of Angels year in, year out. With texture that will make you smile, aromas that sing out and flavours that POP, there is no doubt you'll be loving every sip of this selection, and so will your bubble-loving friends! Celebrate any day ending in Y with this bubbly bottle of Obelisk joy! The nose presents with fresh zesty and strawberry notes. The palate is a sherbetty fruit forward style that has a nice fine bead. Pour me another! Anna and Derek used the charmat method which is typically found in Italian sparkling wine making. They've used the classic sparkling varietal blend of Chardonnay and Pinot Noir, both picked early from the cooler sites of the Limestone Coast. 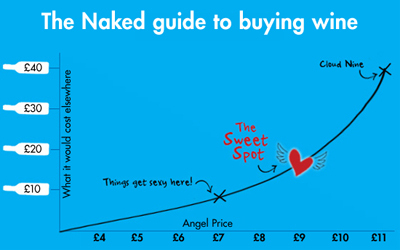 Thanks to Angel funding you can experience the complexity and length of Champagne without the price tag! However, it is not Champagne in style, so you get a lot more fruit that makes this wine very versatile - breakfast anyone? Modelled on traditional sparkling styles, this wine is a blend of Chardonnay and Pinot Noir. Fresh, delicate and easy drinking, it's the perfect bottle for so many occasions! The 2018 vintage of this classic Angel favourite is looking very smart, fitting for such a special year in the Santolin's lives! Bright on the nose with a light and balanced mouth feel, complimented by a hint of fresh strawberries and cream. All this is teamed with a fresh, fruit driven burst of scrumptious bubbles. Perfect to kick off your evening, or a champagne breakfast! This bottle of fun is an undeniable crowd pleaser. A&R LOVE serving this wine as an aperitif with barbequed prawns or freshly shucked oysters.